After several weeks of consideration, the Crested Butte Town Council has sent a letter to Grand Mesa, Uncompahgre and Gunnison National Forests (GMUG) U.S. Forest Service supervisor Charlie Richmond stating the majority of the council believes there is not enough community support to allow lift-served skiing on Snodgrass Mountain. The Town Council met on Monday night to discuss the 10th draft of a proposed letter to Richmond. The letter notes that the Town Council held a public meeting on March 24 that 160 people attended; 60 people spoke at the meeting. Of those, the letter reads, the majority who spoke do not support Crested Butte Mountain Resort’s (CBMR) proposal to expand onto Snodgrass Mountain. Since the meeting, the letter notes, the town has received statements both in support and against expansion. The letter then goes on to list the major reasons people oppose the expansion: The preservation of open space, sustainability, concerns that it will lead to development in Washington Gulch, inconclusive evidence of the economic benefits, and ecological issues. The letter briefly outlines several reasons that people were in support of the project entering the Forest Service’s National Environmental Policy Act (NEPA) process, which included economic benefits, the need for intermediate ski terrain, and the ideal location of Snodgrass near existing ski facilities. 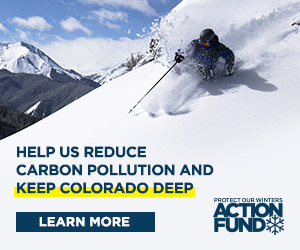 If the application enters the NEPA process, the Town Council requested that the Forest Service consider impacts on traffic, open space, parking, water use and quality, affordable housing, habitat loss and effects on the Rocky Mountain Biological Laboratory (RMBL), avalanche danger and impacts on neighboring Washington Gulch. In 2005, CBMR submitted a preliminary proposal to the Forest Service for consideration before it officially entered the NEPA process, which would determine impacts of the development. While a formal proposal has not been submitted, the current design, dubbed “Snodgrass Lite” by its proponents, calls for three lifts on the 11,145-foot-high Snodgrass Mountain, a smaller beginner ski lift and a connecting lift from the mountain to the main resort. One lift would dip into the Washington Gulch drainage but would not be accessible from homes in that area. The Forest Service and CBMR agreed to explore potential “deal breakers” before the federal agency accepts the resort’s official application into the NEPA process. Those deal breakers include the mountain’s geology, community support, and impacts on the neighboring RMBL. With the Forest Service poised to decide whether or not to accept the resort’s application, the Crested Butte Town Council has been taking pains to ascertain where the community stands on the Snodgrass issue. The Town Council held a work session on Monday, March 24 that heard the majority of those who spoke express their opposition to the expansion. In response to the hearing, 506 people—91 town residents among them—signed a letter in support of CBMR’s expansion plans and presented it to the Town Council during its meeting on April 7. Crested Butte/Mt. Crested Butte Chamber of Commerce director Christi Matthews pointed out that the letter highlights the 60 people who spoke at the meeting and said she had understood the Town Council wasn’t going to use any numbers in its letter. Previously, Matthews presented the results of a survey of Chamber business members. Sixty percent of 134 responding business owners were in favor of lift-served skiing on Snodgrass Mountain, with 31 percent opposed and 9 percent unsure. Crested Butte Town Council member Kimberly Metsch defended the letter, which she said represented all views the Town Council heard. Friends of Snodgrass Mountain board member Michele Simpson complimented the Town Council on its efforts to take community input. “I think the letter is a very good letter,” she said. Following some suggestions from the public on wording, the Town Council discussed its thoughts on the letter. Berkshire said he supported asking the Forest Service to consider impacts of the expansion but would not sign the letter. “We’re doing ourselves a disservice,” he said. Town Council member Billy Rankin agreed. “I feel like we’re representing town very well with this letter,” he said, noting that it wasn’t going to make everyone happy. Still, he felt the town’s electorate spoke in November when it chose several candidates who were against the Snodgrass expansion. “There are always going to be people upset, but people expect us to make a decision that speaks as the voice of the town,” he said. Metsch agreed with Betz and Rankin. “It’s been a really hard road working on this letter,” she said. “I think we’ve found a way to express people’s opinions.” She also urged private citizens to continue to contact Richmond with their thoughts. The Town Council then voted 4-1 to send the letter, with Berkshire voting no and mayor Alan Bernholtz and Town Council member Dan Escalante absent. Prior to discussing the letter, the Town Council agreed to send a letter to the Forest Service asking for cooperating agency status if the project should enter the NEPA process. If granted, the status would give the town an official role in the NEPA process. The council voted unanimously to send that letter.